What a wild first half of the college basketball regular season. Non-Conference play is all but over as the matchups begin to get better and teams begin to find out who they really are. With March Madness just two months away, here is a look at how the season has shaped out so far along with some projections for the tournament. Although these teams are not currently the top four teams in the country by rankings, they are the best four teams in the country. These teams have just three losses between them and two of the group are the only remaining members of the undefeated club. Duke is scary as always led by projected number one overall pick Zion Williamson. The freshman shows no signs of slowing down in conference play as he put up monster numbers against Clemson and Wake Forest averaging 27.5 points in the Duke wins. Duke is the safest bet in any of their games moving forward. With that being said, Virginia still has two games to play against the mighty Blue Devils and they have a serious case as to why they are the best team in the nation. UVA hasn’t lost yet this season and is coming off a huge win against then #9 Florida State. The Cavaliers are once again going to be a favorable pick come March and although this has been said so many times before I am here to tell you that this could be the year it all comes together. If UVA holds up in conference play like they did last year, they should be a popular finals pick once again. Michigan hasn’t lost since the national title game and already has arguably the strongest resume out of anyone in the country. The Wolverines knocked off North Carolina and Purdue at home and went on the road to defeat Villanova, Northwestern and Providence. Michigan has proven that their style of play holds up against any type of opponent and they are one of the few teams that no matter what happens in conference play will be a popular pick in March. Gonzaga has two losses but they are to North Carolina and Tennessee, two teams currently ranked in the top 12. Neither loss should derail anybody from believing in the Bulldogs in conference play and beyond. Gonzaga has rebounded since their back to back losses to win their next five games against inferior opponents by a combined 218 points. The Zags are for real and despite the bump in the road, their win over Duke still proves they can hang with and should be considered, the best. Both of these teams have surprised the entire NCAA this year with their impressive starts. Texas Tech went from unranked to on the map after their crazy defensive attack started being noticed. The Red Raiders have yet to allow 70 points to a team this season and have faced quality opponents like Oklahoma and Duke. Their resume includes wins over Nebraska, Memphis, West Virginia, Kansas State and Oklahoma and a tough loss to Duke which is their only of the season. Texas Tech went far in March last year and they will be a strong candidate to go far again this season. Virginia Tech started the season ranked #15 and has since moved up six spots, only falling in one game to Penn State. 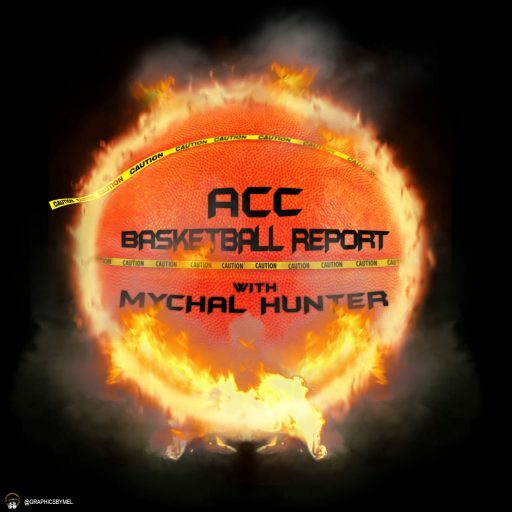 The Hokies have good wins over Purdue and Washington but they will have to prove themselves in conference play before being taken as a true contender. Games against Virginia, North Carolina and Syracuse will provide them that opportunity. There are plenty of top 25 teams that are not going to contend in March but the three focused on here have expectations to preform on the biggest stage. They will let you down. Ohio State has lost their last two games in conference play to Michigan State and Rutgers and the schedule isn’t getting any easier. Iowa, Maryland, Purdue and Nebraska are all unranked teams that could upset the Buckeyes in their next four games. Add on remaining contests against Michigan and Michigan State and the Buckeyes could be looking at a six seed at best come March. They should be a popular upset pick in the first round this season. Remember when Kentucky was ranked number two in the country before getting absolutely smoked by Duke? Yeah, me too, and at this point that is really the only thing the Blue Devils have to hang onto as the season slowly slips away. Kentucky has struggled away from home against quality opponents this season as they have losses to Duke and most recently Alabama under those circumstances. 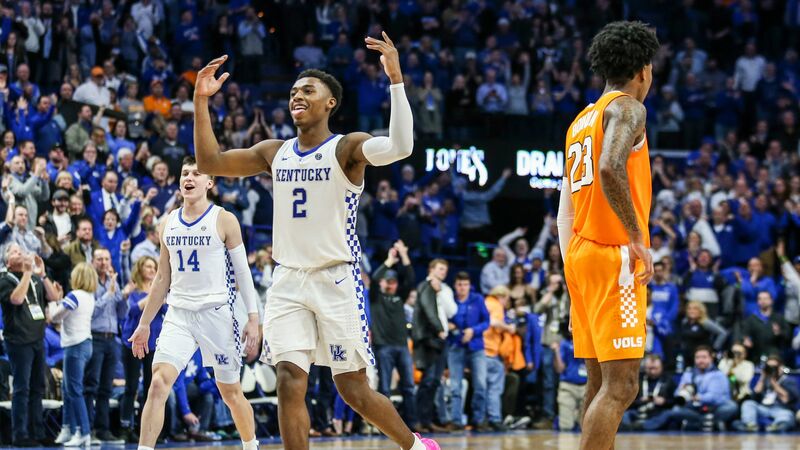 The Blue Devils also lost to Seaton Hall earlier this year at home and despite a good win over North Carolina, the Wildcats are not the power of the SEC anymore. Expect them to be another team that is a popular upset candidate that won’t get past the second round. Buffalo is a good team and their expectations are high after compiling a few good wins this season. Yet it’s the Bulls lone loss that draws bigger concern that their wins. After beating Syracuse on the road they fell badly to a ranked Marquette team that proved clearly better than them. Buffalo doesn’t play a strong schedule and although they can’t be faulted for that, it doesn’t provide any optimism moving towards March when the real matchups come to town. Don’t expect Buffalo to reach the sweet 16 unless something big changes. Marquette has a star. Markus Howard is his name and he is averaging 25.8 PPG so far this season. How do you beat Howard? That’s a problem that all opponents have faced this season. If you guard at the three point line, he will drive past you and get to the rim. If you foul him, he will make the free throws as he is shooting 89.7% from the line to date. If you guard for the drive, Howard will pull up and drain the three. In his last game against Creighton, Howard singlehandedly carried his squad to the win scoring 53 points on 15-26 shooting (10-14 from three). Howard is a beast and as we know, that could be all it takes to win. Marquette is a contender. Villanova is in this category because a lot of people have counted them out. They lost games to Furman and Michigan early and lost close contests to Penn and Kansas by a combined six points. Since then, the defending champs have proved to be back to normal. They have wins over UConn, Providence and St. John’s in their last four games and are still the favorite to win the Big East conference. The Wildcats may be slept on this season in March and that is a major mistake. Creighton is a good team. They aren’t ranked. They aren’t even receiving votes to be ranked but they are a good team. If they can get into the tournament, they will be dangerous in the first few rounds. Creighton’s losses have came to Ohio State, Clemson, Gonzaga, Nebraska, Oklahoma and Marquette, all who have been ranked or are currently ranked. In all of those games, the Bluejays have played their opponents close throughout the year and counting them out for the rest of the season would be a mistake. A closer look at the remaining undefeated six teams in college basketball and who has the best chance of an undefeated season. The CBS Sports college basketball analyst sees Duke as the favorites to hoist trophy during “One Shining Moment” come March. Tennessee and Duke stay at No. 1 and No. 2 this week.